Fingertips towels can also be personalized!! 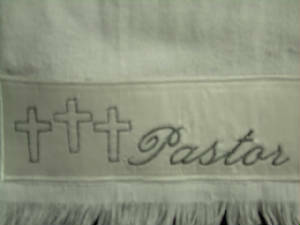 Pastor w/2 Crosses monogrammed on ivory satin. 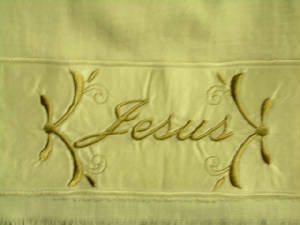 Jesus monogrammed on ivory satin. 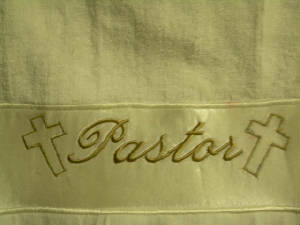 Pastor w/3 Crosses monogrammed on white satin. 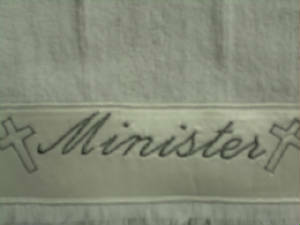 Minister w/2 crosses monogrammed on white satin. Will exchange items not worn, altered, or damaged, within 10 days of purchase.